Scaling has probably been one of the most rewarding – but also challenging – things I’ve had to do as the co-founder of Vainu. While the rush of bringing on ambitious new team members or opening offices in new countries never gets old, getting to the point where our organization had a process in place for how to scale has been, admittedly, a challenge at times. Perhaps what is the most important thing to do — and what takes the most precision — is finding that right mix of the right people to help accelerate your company’s growth and carry your vision forward. Amid the rapid growth of hiring more than 130 employees since launching three years ago while opening six offices, we have learned some very important things about effectively scaling an inside sales team. We’ve had to grow through sales: We’re a completely bootstrapped company, growing only by increasing revenue. The most important thing is finding that right mix of the right people to help accelerate your company’s growth and carry your vision forward. Here are lessons I’ve learned from my experience leading a sales team at a company in hyper-growth mode. Following this roadmap will help you develop a process (if you don’t yet have one) or tighten your existing process for scaling sales teams. When hiring for your next inside sales position, you might come across a candidate with the perfect background: a combination of experience in your industry coupled with a strong education and a perfect resume makes you think you have the perfect fit. Be careful. Sometimes, all that glitters isn’t gold. You need to trust your gut, especially if something isn’t clicking during the interview. Make sure you only hire people who get your company culture and have the same spirit you have for selling. Make sure you only hire people who get your company culture and have the same spirit you have for selling. On the flip side, perhaps there is someone whose resume isn’t the greatest but it catches your eye enough for a follow up call. They nail the interview and they prove to be a good fit for your culture. We’ve had experiences where we bring someone on and, even if they don’t quite fit the role that we’ve hired them for, we transition them to a better fitting role because they fit our culture. They are too valuable to our overall mission and we find a space where they can help our company succeed. I’ve found in my experience salespeople in the United States are a bit different in makeup compared to those in Europe. We have offices across Europe and an office in New York; as a sales intelligence platform, most of our customers are salespeople, so we work with people in business development day in and day out. In Europe, many salespeople at companies focus on how they can bring value to the team as a whole. They are used to being measured in part as the member of a larger team. The U.S. is filled with exuberant, energetic salespeople who are competitive and independent thinkers. This can be a good thing. Think of your sales team like a basketball team: There may be an all-star player who shines above the rest. But if he refuses to pass the ball when needed, the whole team is going to struggle. But, the independent salesperson can also go a little too far. An overconfident salesperson can potentially go rogue. He may bring in sales, but may also cause rifts and may have unrealistic demands as he continues to bring in accounts. Think of a basketball team: There may be an all-star player who shines above the rest. But if he refuses to pass the ball when needed, the whole team is going to struggle. Same goes for salespeople. If they are not willing to pitch in and help team members when needed, your team is going to struggle. At our company Vainu, we make sure our team is glued to our platform. It helps that Vainu is a sales intelligence tool that helps our people do their job, but even so — whatever you’re selling — make sure your team knows it like the back of their hand. It’s your responsibility as a leader, no matter how fast you’re scaling, to properly train your team. It goes beyond just providing sales decks or internal training documents; it involves investing time and energy into making the team better. It’s your responsibility as a leader, no matter how fast you’re scaling, to properly train your team. Your team should know your sales methodology inside and out. What is your internal process like? They should not only what you do but why you do it. And, they should be able to integrate your sales methodologies into their personal growth plan. Top salespeople are curious and constantly improving. They really want to be successful. And what sets the premier salespeople apart is a unique ability to transform their understanding and willpower into daily actions, habits and routines that take them where they want to be. Practical ways we measure salespeople at Vainu — as I’m sure other sales organizations do as well — is through metrics like activity numbers (looking at the number of meetings held per week), hit rate (how many prospects end up buying), average contract value and sales cycle. Taking numbers like this and putting them into a simple formula can help you gauge how we’ll you’re doing. What sets the premier salespeople apart is a unique ability to transform their understanding and willpower into daily actions, habits and routines that take them where they want to be. As a basic rule of thumb, I like to turn to the Sales Velocity Equation to get a better understanding of how effective our team is. The equation goes as follows: (You multiply the number of sales opportunities by average deal value and also win rate percentage). Then, you divide that by (the length of the sales cycle). That sales velocity number can then be measured over time to see how well your team is doing. Here’s an example: Essentially, if you increase sales opportunities, increase the deal value and win rate percentage by 10 percent each and also reduce length of the sales cycle by 10 percent, your sales velocity would increase by 47 percent. This four-part formula encompasses some of the most important metrics in sales. We’ve sort of come full circle with this final tip. I discussed earlier the importance of evaluating people when hiring and taking a gut check to figure out if they are the right fit. While someone may seem like a good hire initially, people change. Circumstances change. Companies change too. You want to scale with team members who are fully committed to the cause, ones who are flexible enough to handle company growth and changes. You want to scale with team members who are fully committed to the cause, ones who are flexible enough to handle company growth and changes. If someone is falling behind on their sales goals but is a dedicated team member, invest more time in them. They want to succeed and have the willpower – and if they can truly be trained and you’ve gone through the process of hiring the right people – they are going to be all the more committed to a company who gave them chances, even when they weren’t meeting their goals. On the other hand, be cautious of team members who are falling behind but also seem to be changing in attitude. The last thing any internal sales team needs — or any team, for that matter — is jaded or disgruntled members who will upset the balance of the organization. As sales continues to change rapidly on thing remains: People are at the heart of every great sales team. As sales continues to refine and become ever the more efficient, with the advent of sales automation tools and AI in the industry, one thing remains: People are at the heart of every great sales team. Find the right ones, train them the right way, measure their growth and make sure that the team remains whole. It’s a winning recipe. 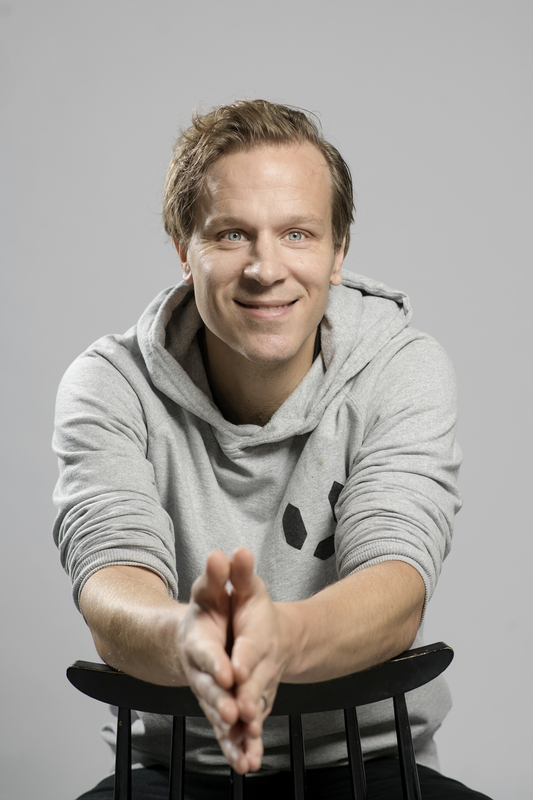 Mikko Honkanen is Vainu's CEO and Co-Founder with a strong background in SaaS industry and B2B sales.